Industrial Revolution can be defined as the changes experienced by goods and consumption due to the mechanization of manufacturing. All these changes took place over a long period in constant evolution affecting all sectors involved in good production. The Industrial Revolution began around 1780 in Great Britain to the combination of different factors. Now we are going to analyze the most important ones. Farming experienced radical changes known as the Agricultural Revolution. 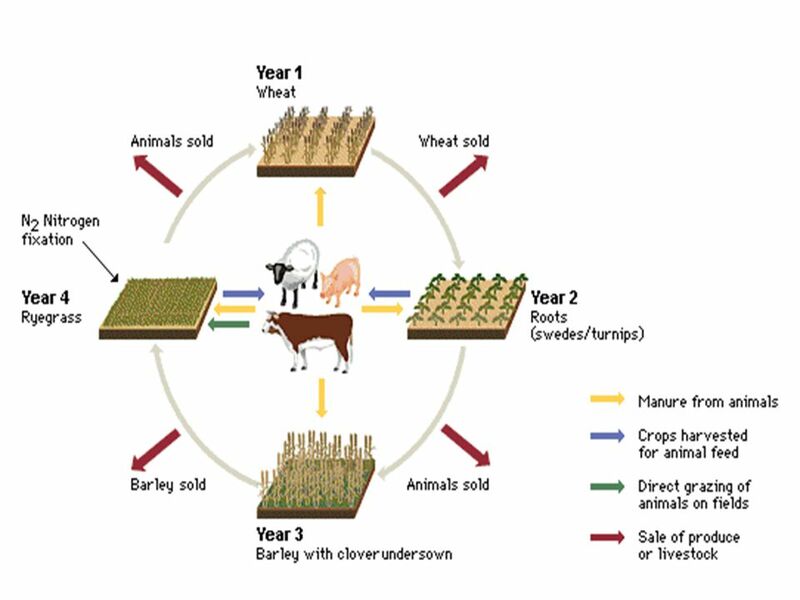 They consisted of technical advances and changes in land ownership.Techincal advances by replacing triennial rotation by Norfolk four course system based on constant crop rotation including fodder for livestock. This provide more manure for fertilizing and meat and milk to improve diet as people had more protein comsunption. Spread of crops such as maize and potatoes. Introduction of new machines like the seed drill and new chemical fertilizers. Changes in land ownership replacing the old open-field community system by the enclosed or fence private states. Peasants who could not afford fences sold their land to wealthy peasants, bourgeois or nobles and work for them or move to cities to look for industrial Jobs. Increase of productivity and investment of benefits in industry. Work force reduction in farming.